The British Gazette » Welcome to the Grand Duchy of Redwood-Moggainia (Großherzogtum Rotwald-Moggänien) ruled by the Grand Duchess Theresa (Großherzogrin Teresa). 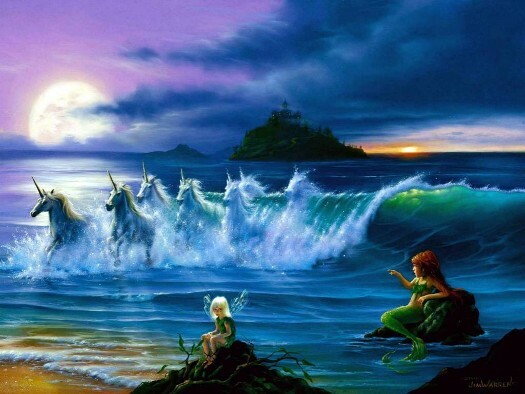 Above is a painting entitled; “Fairies, Mermaids & Unicorns”! It sums up the “Grand Duchy of Redwood-Moggainia” fantasy realm well I think. I particularly like this image as it appears to be a fantasy of Mounts Bay and St. Michael’s Mount so it is the world inhabited by my local Kippers! Notice the two suns (one rising the other setting)! Clearly our Kippers (and the Grand Duchy of Redwood-Moggainia) are on a different planet! Today’s blog-post (http://eureferendum.com/blogview.aspx?blogno=86639) published by Dr. North illustrates that fantasy politics have taken firm root at Westminster and elsewhere across the UK. Amongst the local Brexiteers there is a palpable sense of optimism. “We are on our way! OUT!” Is something they are convinced of. They are looking forward to the hour. At this point, this article serves as a correction for several previous articles where we mistakenly assumed that “Brexit” would take place at midnight on Friday 29th March 2019 and thus the UK will become an independent nation state AGAIN one second after this at 00:00 HRS and 1 second on Saturday 30th March 2019. The UK will, but at midnight Central European Time! Thus the UK will regain it’s independence at 11:00PM precisely on Friday 29th March 2019! Presumably the authorities will arrange for Big Ben to strike the hour. There is in many ways a multi layered and richly ironic aspect to this! 11:00PM. The eleventh hour! After midday! If the worst happens and there is a “no deal Brexit” the consequences for many will be severe! Britons unfortunate enough to be on the continent with UK vehicles running on UK licences, permissions, certificates and insurance will all be classed as authorised vehicles with invalid permissions. They could be impounded. Commercial vehicles could have their cargoes seized by the authorities. Owners and drivers could be arrested, prosecuted and fined. Are the reactions of many readers. 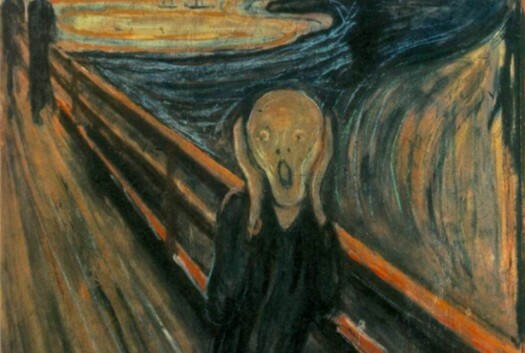 As for a suitable image to reflect a no deal Brexit? So the Grand Duchy is ruled by the Grand Duchess Theresa. Presumably her Prime Minister is Jacob, Count Mogg and her Chancellor is John, Count Redwood. What role does Duke Boris have? Foreign Minister I suppose. No change there then! Possibly because of the Gothic-horror genre is often set in German central Europe?